This article appears in the Spring 2018 issue of MCF's Giving Forum magazine. Post cards were being waved in front of the cameras when Congressional leaders rolled out the framework for tax reform in September 2017. The plan was to craft “middle-income tax cuts, a simpler and fairer tax code, and the most competitive business tax rates so American compa­nies of all sizes can create jobs, give their workers a pay raise, and grow the econ­omy,” said U.S. Department of Treasury Secretary Steven Mnuchin. Filing taxes was going to be easier. The number of individual rates was going to be reduced from seven to three. We the taxpayers could forget about record-keep­ing and boxes of receipts because the standard deduction was going to double. The big roll out included other words of reassurance. Popular deductions for char­itable gifts would be retained. Credits and deductions of interest to business would be eliminated in exchange for significantly reduced business tax rates. Though, some such as the Low Income Housing Tax Cred­it would not. The bill got passed in December. The process was fast, furious, and highly irreg­ular. In the end, there were no photo ops with a post card-sized tax form. Seven tax brackets remained. The charitable giving deduction was still there, but in a severely weakened form. Plus, there were other changes that made the 2017 tax bill a dis­ruptive change for philanthropy, charitable giving, and nonprofits. The biggest hit to philanthropy in the new tax law came from doubling the standard deduction. Beginning with tax year 2018 the deduction will be $12,000 per year for individuals, $18,000 for heads of house­holds, and $24,000 for married couples filing jointly. As a result, Independent Sector estimates the number of tax filers eligible for deductions for charitable gifts will plummet from about 30 percent to about ten percent; a shift that could cause a $12-$20 billion decline in charitable giving each year. Charitable giving will not stop. People give for many reasons. Getting a deduc­tion was not the only one. But, the fact that 31 percent of all donations are made during the month of December and 13 percent during the last three days of the year is notable. The federal deduction has influenced donors. It caused some to increase their gifts and led others to follow-through on good intentions. It particularly influenced those who had modest incomes and gave smaller gifts. In Minnesota, 60 percent of tax filers claim­ing the deduction had annual incomes of less than $50,000. Tax-deductible gifts is a core strategy for nonprofits, ranging from those that participate GiveMN’s Give to the Max Day to all that mail year-end appeals. Dangling a tax deduction is not the only message nonprofits can use to persuade prospec­tive donors. But, most nonprofits do not have the capacity, particularly the com­munication infrastructure to easily pivot fundraising and messaging strategies. Nonprofit managers and board mem­bers will be navigating through an extend­ed and uneasy time of uncertainty. It won’t be known until well into 2019, after the 2018 tax season is in the books, the actual effect of the disruptive devaluation of the charitable giving tax credit. Drafters of the new tax law believe it will drive economic growth resulting in more people having more money to donate. The law includes incentives for higher wealth donors who will benefit from reduced tax rates. For the estimated ten percent of tax filers who will continue to itemize the cap on cash contributions eligible for the charitable giving deduction was raised to 60% of adjusted gross income. The “Pease limit” on total deductions for high-income filers was also suspended. While intend­ed to encourage more giving, charitable giving advocates note the charitable giving tax deduction has less influence on higher level donors. The slightly higher levels were factored into the Independent Sector’s analysis of the impact of the charitable giving deduction changes and were not enough to offset the law’s overall effect on charitable giving. One tax incentive that does influence giving decisions by higher wealth donors is the estate tax. Regardless of principled opinion about its fairness, the estate tax encourages donors to address fu­ture needs in their communities through estate planning. It stimulates donations to support community foundations, estab­lish trusts, or make legacy gifts for capital improvements or endowments that have long-term, sustaining impact. The new tax law substantially increased the threshold to qualify for the estate tax to $11 million for individuals and $22 million for couples. Fewer estates will be subject to taxation. According to the Independent Sector, this change will further reduce giving to charities, possibly decreasing as much as $7 billion. The tax law certainly poses a disruptive change in the flow of contributed revenue to tax exempt organizations. It also made doing good work more expensive for some nonprofits and more complex for others. Nonprofit employers will be subjected to a 21 percent excise tax for compensation for employees making over $1 million a year and for large parachute payments. Endow­ments of larger educational institutions will have a 1.4% excise tax imposed on net investment income. Nonprofits with unrelated business income (UBIT) will see tax liabilities increase for transportation and parking benefits. Additionally, profits and losses for UBIT revenue streams will need to be accounted for separately to determine tax obligations. Driving these changes were concerns by some members of Congress that educa­tional institutions were hoarding funds in large endowments and not doing enough to lower tuitions. There was also a concern about big revenue and high compensation in college athletics. When providing an overview of the tax changes to MCF’s pub­lic policy committee, former Treasury De­partment tax policy staffer Ruth Madrigal saw the changes differently. Simply stated, she suggest more tax revenue was needed to keep the cost of the tax bill under the $1.5 trillion dollar cap and make it eligible to be passed with only a majority vote un­der budget reconciliation rules. New taxes on nonprofits were one of many ways to accommodate the cap. However, her greater concern was the establishment in the tax code of new ways to tax nonprofits and charities that could be applied more broadly in the future. Reforms that were important for philan­thropy and charitable giving did not make it into the tax bill. Most notably, Con­gress did not adopt a universal charita­ble deduction to reverse the impact of expanding the standard deduction. As a Capitol Hill staffer shared with MCF during the tax bill deliberations, Congressional leadership knew they had a charitable giving problem. Bills were introduced in both the House and the Senate proposing the universal deduction, an above-the-line deduction available to all taxpayers, as an alternative. However, the idea was brought into the process too late to build a broad base of support, and by the time it was starting to be taken seriously it was perceived as too costly to be easily incor­porated into the nearly finished bill. There was a long list of other desired reforms that were not included in the new law. Simplification of the private founda­tion excise tax was in the House bill but got dropped in final negotiations with the Senate. Clarifying reporting requirements and allowing IRA rollover assignments for donor advised funds were also left out. A long-standing exception from the private foundation tax for “Newman’s Own” was also left out of the bill, but later restored as part of a subsequent short-term bud­get bill. Also left out of the bill was the repeal of the Johnson Amendment, the current law that restricts tax exempt organiza­tions from engaging in partisan politics by working for or against candidates for public office. This was an idea advocated by a small network of influential conser­vative faith organizations. It was widely opposed by other tax-exempt groups. They argued it would fundamentally distort their commitment to providing services without political influence, and turn hos­pitals, nonprofits, and houses of worship into conduits for campaign contributions. The repeal was included in the House-ap­proved tax bill but blocked from inclu­sion in the Senate bill a parliamentarian ruling. (The Senate’s “Byrd Rule” prohibits provisions that don’t primarily deal with fiscal policy from being included in budget reconciliation bills.) It was a close call for the independent sector. Largely because the implications for campaign fundraising, the effort to repeal the Johnson Amend­ment is not expected to go away. One thing the tax bill did do was express confidence in market-based solutions. While the original bill passed by the House recommended elimination of or re­strictions on key community development investment tools, the Senate resisted. Private activity bonds, new markets tax credits, low income housing credits, and the historic tax credit were all retained. Added to law is the new Qualified Oppor­tunity Zones (QOZs) which allow capital gains tax exclusions when the gains are reinvested in designated low-income com­munities. It’s not entirely clear how this will work or if it will work. But, governors recently took the first step to put this new idea into effect by designating areas as qualified QOZs. All of the changes affecting philanthropy, charitable giving, and the independent sector are moving from being the targets of policy debate to slipping into practice. Recently, 250 grantmakers from around the country, including MCF’s public policy staff, started the sorting process when came together in Washington, D.C. for the United Philanthropy Forum’s Foundations on the Hill event. We asked members of Congress to include some of the changes left out of the tax bill that would make foundations' work more efficient and ef­fective in an upcoming budget bill. We got clarity about how the Treasury Department is going to approach developing regula­tions to fill the gaps of bill drafting, and also how much of our advocacy efforts will need to focus on the regulatory process. Knowing this new tax law is slated for some kind of “big fix” to address mistakes, gaps, and unintended consequences; we started to lay the groundwork to deal with “the charitable giving problem” by enact­ing a universal charitable deduction. The policy debate is also happening in Saint Paul as the Governor and Legislature scramble to create conformity between state tax law and the new federal law. Federal changes in rates, the definition of taxable income, and deductions and exclusions could result in an $850 million increase for Minnesota taxpayers if the state does nothing. State leaders are sensitive to the impact of the federal law on charitable giving. They held hearings on bills to create the Endow Minnesota tax credit or to expand the state’s existing charitable giving tax deduction as part of their deliberations. Minnesota grantmakers are starting the process of absorbing the impact of the tax law changes. Community foundations felt an initial jolt from a high level of activity in the final weeks of 2017 as donors opted to give under the certainly of the previous law. The notion of “bunching” charitable donations was quickly popularized shortly after the new law went into effect and could become a big new area of activity for community foundation. “Bunchers” would qualify for the federal charitable giving deduction through a giving cycle of making large contributions to a donor advised fund in one year and then paying out donations over a couple succeeding years. Corporations are sorting out the impact of their reduced federal tax rate, as well as the continuation of various credits and deductions as market investment tools. In the short term, they have provided employee bonuses, adjusted hourly pay rates, increased employee matching-gift contributions, or made larger contribu­tions to their corporate foundations. Lead­ers who are serving on nonprofit boards are wondering about what they can bring to the table to help manage through this time of change. The conversations about the implications of reduced tax liability and growing expectations for corporate leadership are just now beginning. The immediate impact of the new feder­al tax bill is to disrupt the revenue flow in the independent sector coming from charitable giving. But, one-third of the revenue nonprofits depend upon comes from grants and contracts with govern­ment agencies. It’s projected the federal deficit will grow by up to $1.7 trillion over the coming ten-year horizon. Already, Con­gressional leaders are floating plans to cut federal health care, anti-poverty programs, and other domestic spending because of the anticipated deficit. We can expect cuts in this important source of revenue for nonprofits within the coming year. Federal tax reform was jarring for the independent sector. As much as the various changes, and particularly the reduced value of the charitable giving tax deduction, were a shock, leaders are taken aback by how little influence the sector had on shaping the new tax law. At a recent policy conference hosted by United Philanthropy Forum, participants were unsure about how to move forward in this disruptive moment. Some saw a need to simply increase investments in advocacy and lobbying capacity. Some were ready to get right to work at making the univer­sal charitable deduction the new rallying cry. Others were wondering if this was a moment to create a longer-term vision and strategy for charitable giving and philanthropy; calling for something like the Fetzer Commission, a philanthropy-led effort to chart a new course in response to the historic 1969 tax reform. At MCF, we are creating a new tax policy subcommittee of our public policy commit­tee to sort through the changes. As with all of us in the independent sector, we need to be ready to address the most immediate effects. We also need to regroup, re-envi­sion, and reimagine how we move forward from this new point of departure. Bob coordinates public policy engagement and leads MCF's government relations activities. He encourages MCF members to incorporate public policy into their grantmaking. The charitable giving tax deduction was devalued. Doubling the standard deduction makes the chari­table deduction relevant to only 5% of tax filers. The estate tax exemption cap was raised. The incentive to make larger, legacy gifts is weakened. Nonprofits are being taxed. There are new excise taxes for certain salaries and certain types of endowments. Some employee benefits are going to be taxed. More unrelated business income will be taxed. Independent sector not a priority. Tax reforms intended to improve how foundations do there work were not enacted. Harmful changes, such as the repeal of the Johnson Amendment came dangerously close to passing. Market strategies for doing good are valued. Low income housing tax credits survived, and Opportunity Zones were introduced as a new incentive to invest in low income communities. We’re not done. The tax bill needs fixing. 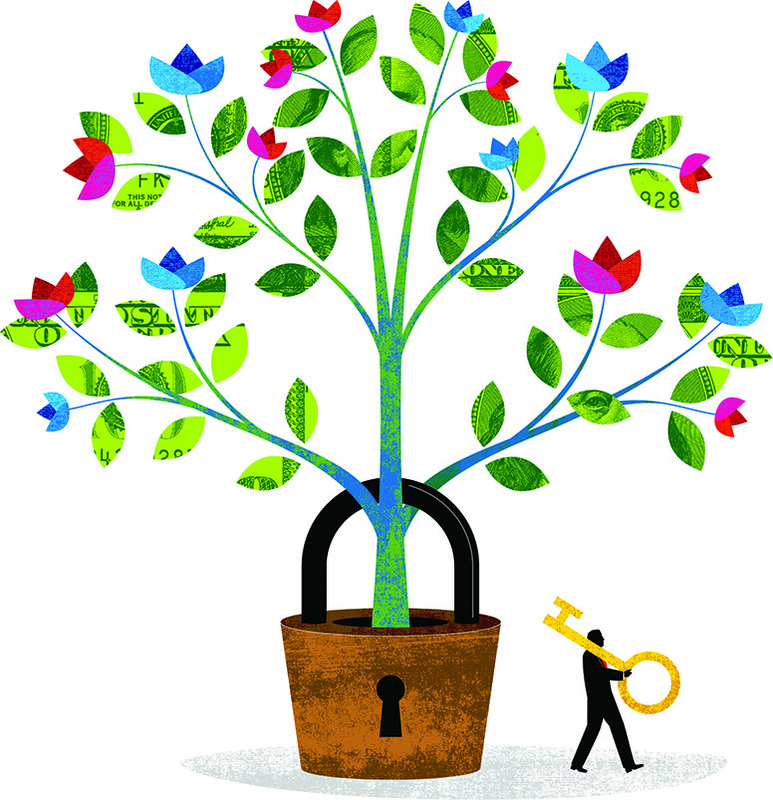 There’s interest in creating a universal charitable giving de­duction. Changes to make it easier for philanthropy are possibilities. And, those who want to repeal the Johnson Amendment are not going away.